How timely can you be? Martin Walker’s latest novel in his “Bruno, Chief of Police” series takes a darker turn. 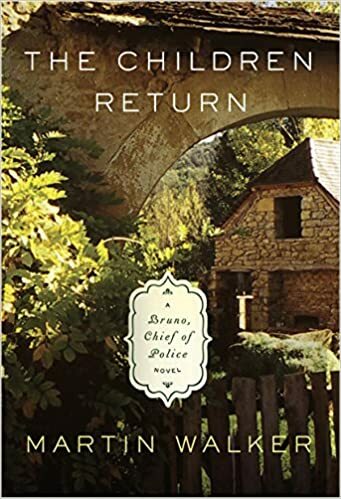 I wrote about these books twice before in this blog: First, of course, came the initial effort, and even then I pointed out some darker elements that would eventually recur in The Children Return, unbeknownst to me, of course. And I also reviewed number three, Black Diamond. Now, in number seven, we have several interwoven themes, one of which involves extreme Islamists who are trying to terrorize a town in France. Sadly, written last year before recent events, it mentions how lucky Paris is not to have suffered the same kind of attacks that other major cities have endured. Sigh. The good news, for readers who like that sort of thing, is that there is much more action than is found in the previous six peaceful novels in the series. The bad news, for those who don’t like that, is that there is too much violence — not very many pages, actually, but still too graphic. Among other themes, in addition to Islamist extremists, are the experiences of French Jews (or European Jews living temporarily in France) during the Vichy period in the Second World War. And, surprisingly, the Islamist theme involves a peaceful autistic boy who is co-opted by the extremists. No cheerful endings there either. 10. Bruno’s character. He’s everything charming Frenchman should be. A great cook, a lover of good food, a lover of wine and women. 9. Really scary stuff mixed in with beautiful touching stuff. The contrast shows off both extremes to the maximum. The ending sequence will have you chewing your nails and flying through the pages (or chewing the pages and flying through your nails). 7. Glimpses and lessons in history, woven into the story. We read about the French Resistance, the Partisans, the Algerian War, the Nazis’ effects on secluded Southern France, and more. Walker describes the July 1942 roundup at the Velodrome Hiver, the heroic efforts of the Jewish Scouts to save the children, the Protestant communities of Southern France who played a heroic role is the rescue of so many Jewish children, the Battles of Mouleydier in June of ’44, and much more. 6. Research, research, research. Martin has done a diligent job researching not only the history but autism, life in Afghanistan, Islam in Europe, the Taliban, and more. The subject matter around the mosques, the jihadists, and the peaceable Muslims is extremely timely. 5. Martin Walker can turn a phrase beautifully. The words flow. The characters’ dialog is natural and believable. 4. Walker develops excellent characters. They are portrayed with sensitivity, each unique and separate from the other characters. 3. An interesting glimpse into the ways French politics (and international politics) work, with relationships, past history, protocol, and more. 2. How can you not love a book where it’s time for the wine harvest festival? 1. There are six more Bruno books, just waiting to be read. ‹ Thanksgiving Haggadah? Yes, a Thanksgiving Haggadah!